On this topic, the East Village Community School PA is hosting a screening of the documentary "Backpack Full of Cash," which explores the cost of privatizing America's public schools, free of charge and open to all, on March 6 at 6 p.m.
I’m surprised there aren’t more accidents caused by those steam clouds of the middle of First Avenue.You’re basically driving blind through those things. 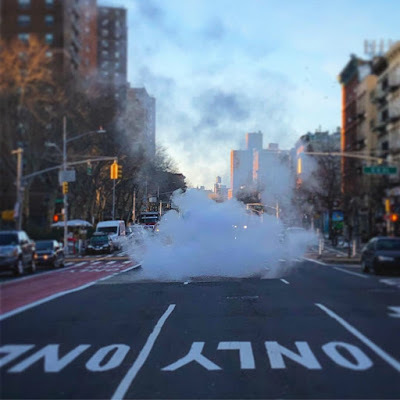 In other news, this week on Citizen somebody reported there was a fire on Fifth Avenue and 21st St. in the same intersection where that big steam explosion happened a few months ago. Turned out it wasn’t smoke, it was just steam coming out from the semi-permanent steam stacks. Tourists can be so dumb.